Push notifications are not meant to be irritating, driving the user to uninstall your mobile app. On the contrary, they should inspire engagement and increase open rates. Requesting the user’s agreement to receive push notifications and adding smart intro screens can improve the user experience and boost your mobile app marketing. Effective triggers will drive users to your mobile products, so let’s learn the most essential laws of push notification marketing. 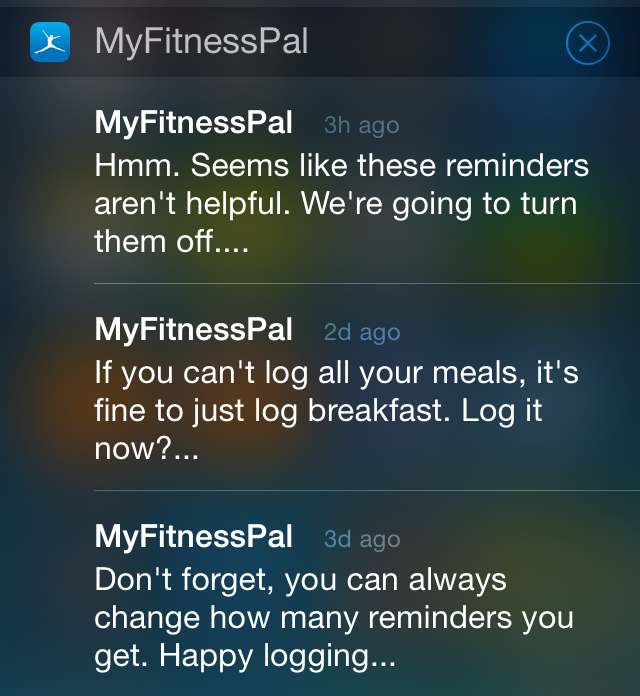 Form habits with your push notifications. This means you need to unite both external triggers and internal triggers. The first kind of trigger relates to the immediate action that the user takes (clicking buttons, subscribing to a Facebook page, rating an app, playing a game, etc.). The second kind is connected with the associations inside a user’s mind—for example, emotions. Lonely users check their messages, bored ones watch YouTube or scroll Instagram, while curious and uncertain users Google things. If you can closely time your push about new levels in your mobile game so it arrives right about the time when your user feels bored, the user will be both engaged and grateful. Work on your phrasing. Users won’t react to words that are not actionable or have a blurry meaning. For instance, greeting your users with an Easter message isn’t relevant if your mobile app is not bunny- or egg-themed. Add intrigue to your push messages. Don’t be boring— connect cheekiness and action together in a short, smart notification. A combination of humor, light information, entertainment, and uniqueness will make you stand out from the crowd. 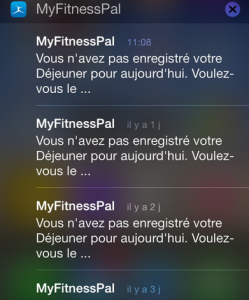 For instance, let’s look at MyFitnessPal pushes for English and French audiences. Which would you consider more intriguing? Write your opinion in the comments section below. The English version is better, as it is different each time; the French one gets just plain boring after the third monotonous repetition. 4. Intro screens should stress advantages. The first time a user opens your mobile app, you need to prove that the app should stay there and even be opened a second or a third time. There are several rules: there should be only one point per slide, text should be brief, it should appeal to the emotions, it should appear before registration, and there should be no more than three slides. Don’t forget to add the skip button, and don’t explain the obvious. 5. Pop-up tips are applicable for new innovative interfaces. However, you can also explain things to inexperienced users. This works great if you have multiple buttons and functions inside your app. You can also explain why you want to send push notifications—66 percent of users give permission after informational slides and pop-up tips about using the product. 6. 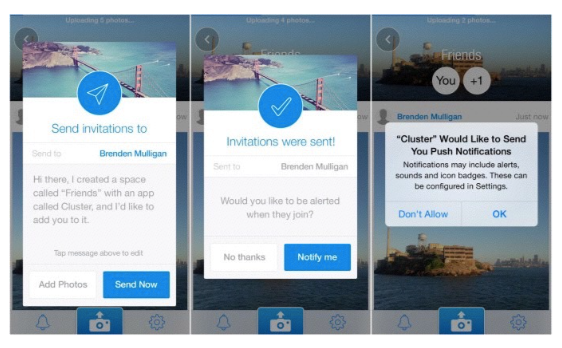 Don’t pressure the user about giving notification permission. Once a user disapproves, it’s almost impossible to change. That is why you should work on educating users about the value your mobile app will give them from the outset. 7. Find several ways to ask for notification permission. A solid 46 percent of the users who denied the request the first time they receive a request from the app give their agreement the second time. 8. Request notification permission only when it’s relevant to the user. For example, access to photos should be contextual, as well as the request to use geolocation. Showing educational slides before the request doubles your chances of approval. What is your experience with push notifications? Tell us in the comments. 9. Registration should be postponed as long as possible. 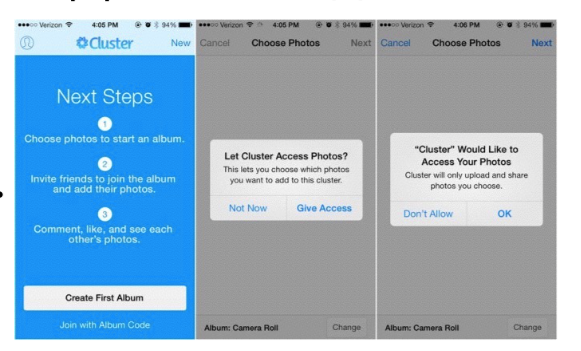 Your users needs to learn what exactly the app does and why it should take up space in their device’s memory. Social signins and registrations are perceived as a payment by users, so the user should be confident that the app is worth it. It’s also great to simplify registration and add cell phone confirmation and social network signins, just because it’s faster and simpler for mobile phone users. But don’t pressure them to do it before they’re sure of your value. Would you add something to this set of push notification laws? Maybe you’ve discovered some yourself. Please share your experience in the comments. What’s the Perfect Timing to Start Mobile App Development?